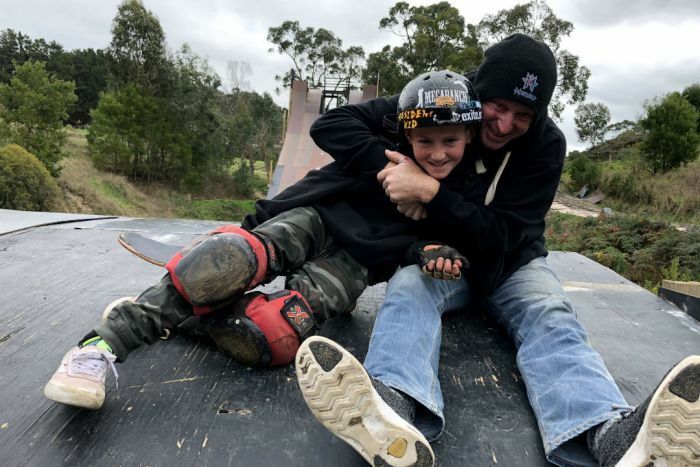 Keefer Wilson, 11, will be the youngest competitor to compete at the extreme sports event the Australian X Games later this year thanks to his dad, who he describes as “the coolest dad ever”. Peter Wilson has built a mega skate ramp for his son in their backyard, which Keefer trains on non-stop. But it is no ordinary skate ramp — measuring 95 metres long, it is one of the biggest in the world. “He’s the best dad because look at this. He built me this [megaramp], and I get to skate it everyday,” Keefer said. 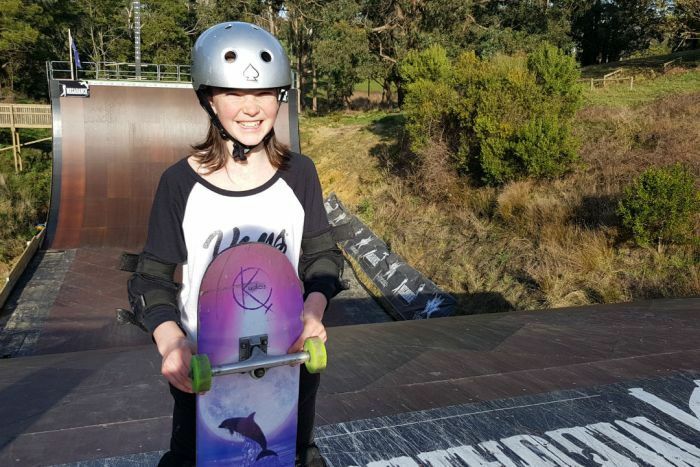 Nyora, in the peaceful rolling hills of Victoria’s South Gippsland is an unlikely home for one the biggest megaramps in the world, but professional skateboarders have been travelling from around the globe to skate it. Australian skateboarding legend Tas Pappas said it was one of a kind. 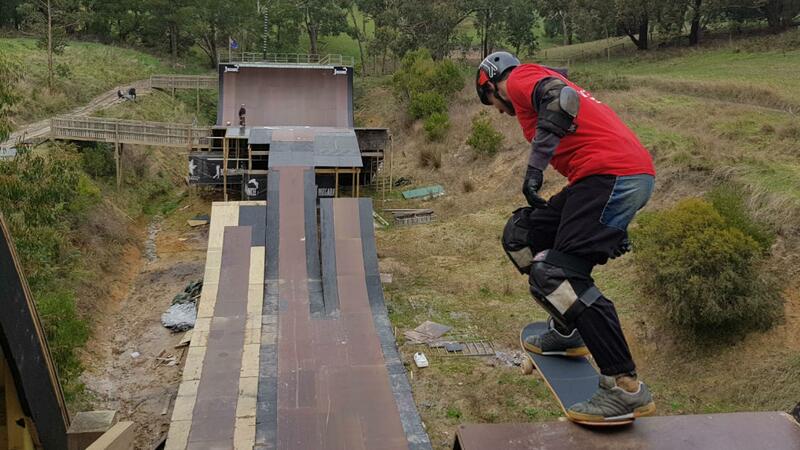 “It’s the only ramp [of this size] in Australia … or this side of the world,” he said. 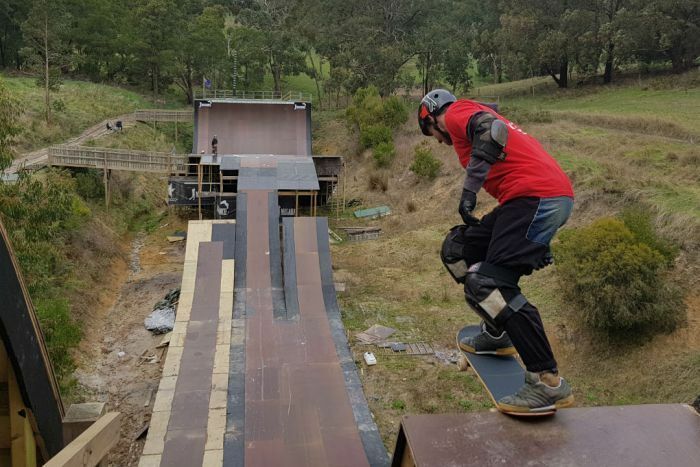 But getting the ramp up and running was not always smooth skating — Mr Wilson tore down the first megaramp after his neighbours complained to the local council. “The first one used to come down on the hill behind us and was in one neighbour’s view,” Mr Wilson said. “They took it to VCAT [the Victorian Civil and Administrative Tribunal], and I offered to move it into an old dam, which we’ve done now. “I’ve planted 100 trees to try to block the view … where it is now it’s pretty much underground. Now, not only is Mr Wilson’s megaramp legal for personal use, he is about to receive a permit allowing him to have accommodation on site for visitors. Despite all of the drama, Mr Wilson said rebuilding the ramp had given him the opportunity to build it taller and better than before. “The start of the roll-in is about 15 metres high,” he said. But it is not only X Game competitors that train there. Keefer’s sister Aaliyah Wilson, 12, loves rolling down the almost-vertical ramp with her younger brother. “Sometimes you go on your back. Sometimes you face plant … and then sometimes your board hits you in the face … and sometimes you land back on your board. It’s so fun,” she said. Aaliyah will be cheering on Keefer at the X Games in Sydney in October. Keefer is already making plans for what he wants to do when he grows up. “[I want to] make it pro when I’m 15 … and travel the word with my best mate Billy,” he said. As for the neighbour, Mr Wilson said they still had not come around to the idea of having a mega skate ramp next door, but he is hopeful they will change their minds.